Priority Pass UK - Is Membership to Priority Pass worth it? No, but why? Priority Pass UK – Is Priority Pass worth it? Some 8 years ago the UK’s 40 busiest airports handled a total of 213.9 million passengers. Whilst that’s an impressive number, total passenger numbers have increased an astonishing 34.6% to 287.9 million in 2017 with 2018 expected to top even this! How Much Does Priority Pass Cost in the UK? 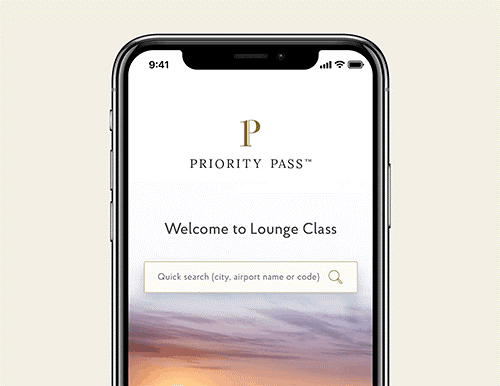 The Priority Pass card offers access to over 1,200 airport lounges in more than 500 cities across 130 counties. With one of the largest coverages of airport lounges it’s not surprising that it’s also one of the most established airport lounge passes in the UK market. That said, popularity doesn’t mean that it provides best value, and within this Priority Pass review we’ll cover in detail just why we think there are better options available to UK residents. 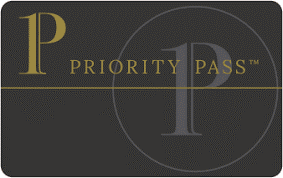 Priority Pass is owned by the Collinson Group, which also owns LoungeKey and Lounge Club. The lounges are not operated by Priority Pass directly but are run by either airlines or more likely third-party independent lounge specialists. This lack of control over the day-to-day operations can cause frustration for guests. We’ll touch upon this in more detail later in this review and also provide some helpful tips and tricks to ensure you never run into problems. There are four levels of Priority Pass membership. The first three levels (Standard, Standard Plus and Prestige) are available through the Priority Pass website. The remaining level, Priority Pass Select, is only available through certain premium credit cards and bank account offerings. Let’s take a look at the various tiers and what they offer. With an annual fee of £69 just to sign up for the card and £20 per visit thereafter, I struggle to understand how this provides real value for customers. As you may remember me saying earlier, Priority Pass is owned by the Collinson Group – which interestingly also owns Lounge Club and LoungeKey. As a result, all three lounge card brands offer almost identical lounge coverage. This is particularly interesting because the Lounge Club Card (reviewed here) is offered free of charge with the American Express Gold Card (also free for the first 12 months!). Lounge Club also has a reduced member visit fee of £20 and offers two free lounge passes per year. With an almost identical product offering between Lounge Club and Priority Pass, you’d be mad to spend £69 pa for a standard membership to then pay £20 per visit! The (free for the first year) Amex Gold Card also offers international travel insurance and 20,000 reward points when you spend £2,000 on the card in the first 3 months. These three benefits make it our best free credit card for UK residents – you can also increase the sign-up bonus to 22,000 points by using this link. Now to work out whether Priority Pass Standard Plus provides good value, it’s worth doing a little maths. To hopefully make this easier to follow I’ve run two examples. One based on Tony who will visit the lounge 7 times in a year and the other based on Hillary who will make 14 visits to the lounge in a year. With an annual fee of £69 and a further £20 per visit, the total cost for Tony would be £209. With an annual fee of £189 and 10 free visits, the total cost for Tony in this instance would be £189. This also leaves 3 more passes available should he for some reason travel more than expected in one particular year. The Lounge Club card is free and the American Express card is also free for the first year (most people cancel before the 12-month period is up). Tony will benefit from 2 free passes and with a charge of £20 per use thereafter, the total cost for Tony’s 5 further visits would be £75. That’s a saving of over £130 on the Standard card and £114 saving on the Standard Plus card. With an annual fee of £69 and a further £20 per visit, the total cost for Hillary would be £349 – clearly not a good option! With an annual fee of £189 and 10 free visits, Hillary would need to purchase a further 4 visits at £20 per visit. As such the total cost would be £269. This is still less than the unlimited access offered by the Prestige card which comes with an annual fee of £339. With 2 free passes, Hillary will need to pay for a total of 12 visits at £20 per visit. The total cost of £180 is a saving of £89 on the Standard Plus Priority card! The final option available through the Priority Pass website is the Prestige tier. This offers unlimited member visits for a fee of £339 pa and guest visits charged at £20 a time. But let’s face it though, most of the time a member is likely to be travelling with a guest and as such will need to pay extra so both can gain entry! Again I thought it may be useful to provide a further example to outline when the Priority Pass Prestige may provide value for money. I’ve set out below the maths for the number of visits a member would need to make to generate real value from the Priority Pass Prestige. 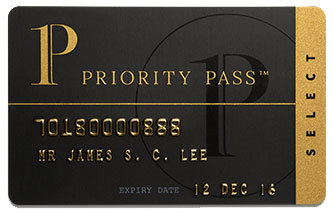 Essentially this shows that the member would need to visit a Priority Pass lounge at least 18 times a year for the cost of the Prestige card to be worth more than the Standard Plus. It would be significantly more (25 in fact) if you were comparing to Lounge Club! Most people who travel at least 18 times a year are likely to be members of an airline rewards scheme and as such will gain access to lounges free of charge – if you’re not you should definitely look into it! The fourth and final membership option is the Priority Pass Select which is offered free of charge with credit cards. In the UK, the options are relatively limited, with only the American Express Platinum Card (reviewed here) offering the free Priority Select. The great thing about the Amex Platinum Priority Pass Select is that you can take one guest on every visit free of charge. Whilst the Amex Platinum Card comes with a whopping £450 annual fee, this can be offset by the saving on the Priority Pass Prestige alone. With no value attributed to the other benefits in this instance it would be a no-brainer. Let’s take a closer look in the example below. Example – As I mentioned above, the Prestige card only makes sense if you visit a lounge 18 or more times a year. The likelihood is that a person visiting 18 times will be travelling with work on say 10 occasions and with family on the remaining 8 visits. This is clearly a very rough guesstimate! To make this example less complicated I’m going to assume that children are left at home and as such the cardholder will only have to pay for 1 guest on each of the family visits (total 8 guest visits at £20 equals £160). With the cost of the Prestige card coming in at £339 pa and a further £160 for guest visits the total cost per year would be in the region of £499 pa. With a free guest pass offered with the UK American Express Platinum Priority Pass, spending £450 pa on the Amex Platinum Card would save you £49! Note that this doesn’t attribute any value to the sign-up bonus of 30,000 reward points, free international travel insurance, free rental-car insurance, various hotel elite statuses, etc. 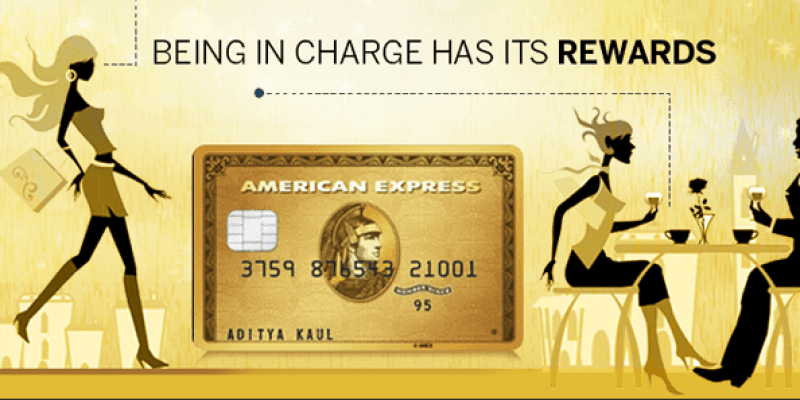 You can see how I value all these benefits in my Amex Platinum Card review here. You can also boost the total number of points from the sign-up bonus to 35,000 by using this link and scrolling down to the correct card. As I mention above, the options of a free Priority Pass card are limited in the UK with only the American Express Platinum Card offering Priority Pass membership free of charge. With an annual fee of £450 pa this is likely to deter a significant number of people. Fear not, everything is not lost! As we learned earlier, the owners of Priority Pass also run the lesser known LoungeKey and Lounge Club offerings. Whilst LoungeKey advertises that it provides somewhere in the region of 350 lounges, this figure is significantly more. In fact, it’s closer to 800 lounges and whilst this is less than the 1,200 coverage offered by Priority Pass, there is significant overlap. As such, if you’re looking for a free way of accessing Priority Pass lounges I’d strongly recommend signing up to the (free for the first year) American Express Gold Card which offers a free Lounge Club card to all holders. Your first two visits to lounges will be free of charge, with the remaining visits charged at £20 a time. Occasionally Priority Pass offer discounts. Using this link (valid at the time of writing) you’ll be able to receive 20% discount on the Standard and Standard Plus memberships and 10% off Prestige. Note however that even with a 20% discount this would still provide poor value compared to the free Lounge Club card offered with the American Express Gold card. With over 1,200 lounges, Priority Pass has excellent coverage. A full list of lounges can be found here. Let’s have a quick look at what Priority Pass lounges are offered at some of the UK’s largest Airports. As is seen above, only 2 Priority Pass Heathrow lounges are not available with Lounge Club highlighting the strong coverage of the far cheaper alternative! Forgotten your card? No problem. Can’t access the internet to find a lounge? No problem. With Twitter being the most common place to vent frustration, it’s no surprise that there are mixed reviews about the Priority Pass offering on the social media platform! Most of these relate to lounges being busy and, in some instances, guests not being able to gain access. One thing to remember is that Priority Pass do not operate the lounges directly and as such you’re reliant on the third-party operator to run an efficient ship! As seen above, if you’re using Priority Pass at either Heathrow or Gatwick you tend to have a choice of a couple of lounges. I’d nearly always recommend No.1 Lounges over the likes of Aspire. To avoid the frustration of being refused entry to a lounge due to capacity issues, we’d recommend trying to book ahead. No.1 Lounges charges you £5 per person for the pleasure however this also includes Premium Security which at the likes of Gatwick and Heathrow can be a life saver during school holidays. There are very few options where I’d consider that signing up to Priority Pass through their website would offer a customer real value for money. If you’re only planning on visiting a lounge a couple of times a year then the Lounge Club card (same owners remember) offered free of charge with the American Express Gold Card is likely to be your best option. You can boost the number of reward points you earn when you sign up to the card by using this link. Alternatively, if you’re thinking about signing up to the Priority Pass Prestige because you travel over 18 times a year, then the likelihood is that the free Priority Pass offered by the Amex Platinum Card (which also provides complimentary guest access) would provide best value even when taking the £450 pa cost of the credit card into consideration! You can boost the sign-up reward points bonus from 30,000 to 35,000 by using this link and scrolling down to the correct card. It means the world to me that you’ve read all this! It’s been a mammoth of an article but hopefully we’ve covered every aspect of the Priority Pass options. With over 1,200 Priority Pass lounges, the card offers great international coverage and as a result is one of the most established in the consumer market. That’s not to say that the Priority card offers best value. In fact, it’s one of the most expensive options! Should you wish to purchase a Priority Pass membership, you can currently receive a discount ranging from 10-20% depending on the tier of membership selected. 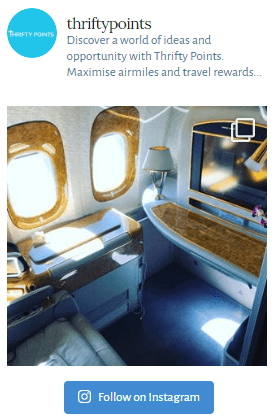 Alternatively, if you want real value for money consider either the Lounge Club card which comes free with the Amex Gold or alternatively for frequent travellers the Priority Pass offered with the Amex Platinum may be a more cost-effective option. As always please do reach out if you have any questions. Happy travelling.